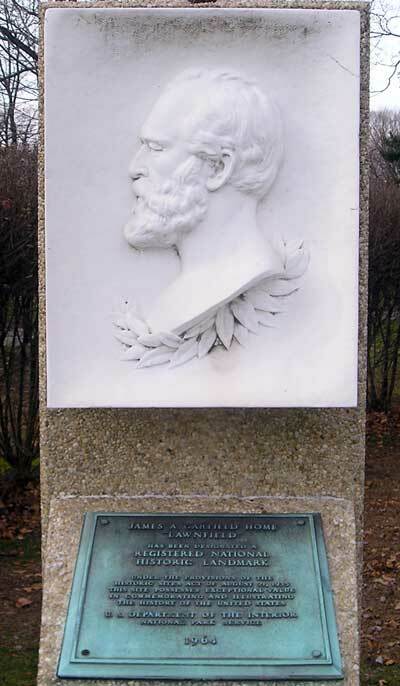 Where would you find this profile of President James A. Garfield? 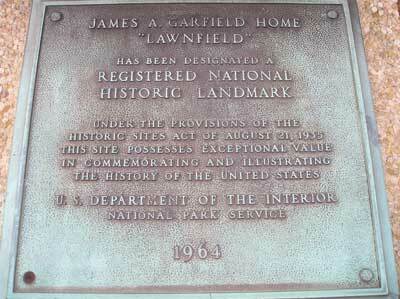 James A. Garfield acquired this home in 1876 to accommodate his large family. They called it "The Mentor Farm." When James Garfield became the Republican candidate for the presidency in 1880 he gave numerous patriotic speeches from the front porch of his Mentor home. 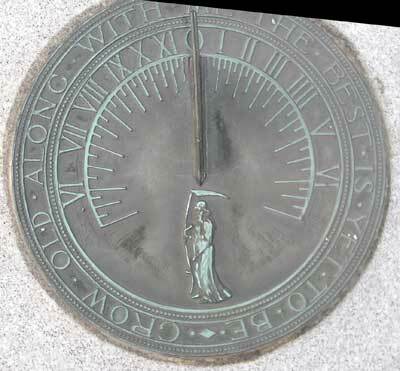 It became the site of the first successful front porch campaign and Garfield was elected as 20th President of the United States in 1880. Reporters named the home Lawnfield because of the wide expanse of lawn where they literally camped out. 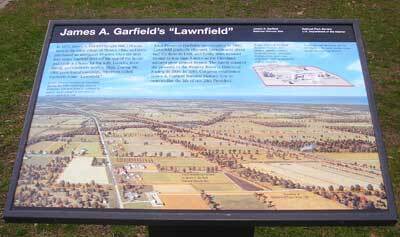 It is called Lawnfield to this day. 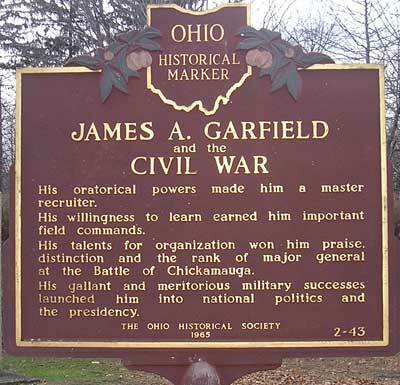 James A. Garfield and the Civil War. 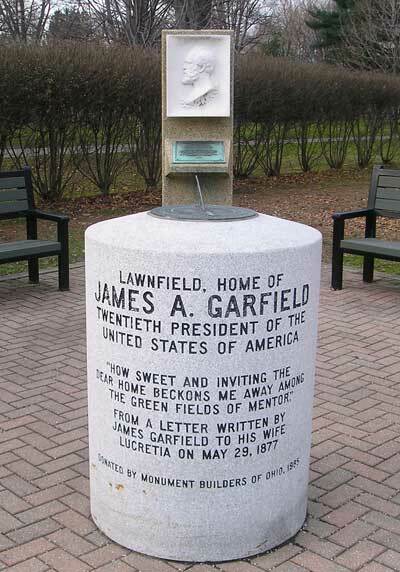 President James A. Garrfield's Lawnfield home is at 8095 Mentor Ave. in Mentor, Ohio.